Andrea L. Lanpher, 69, went to be with the Lord on Tuesday December 11, 2018. She was predeceased by her parents; Sidney (2000) and Grace (1996) Hurlbut. She is survived by her husband of 51 years, Harold Lanpher, Sr. and loving family; Children Harold (Jennifer) Lanpher, Jr. and family, Zackery, Grace, Avery Lanpher; daughter, Adria (Aaron) Weiss, many sister-in-laws, brother-in-laws, nieces, nephews and cousins. Andrea owned Flicks in Marathon and played piano at several churches in the area. The family will receive friends on Saturday January 5, 2019 at the Lapeer Christian Church 1079 Parker Street Marathon, NY 13803 from 4pm until service time at 5pm. 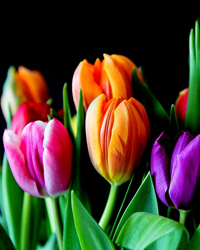 In lieu of flowers, expressions of Sympathy in her memory may be made to: Hospicare care Services @ info@hospicare.org. Arrangements are in the care of James Shara.